See the latest and greatest! What's New at The Nora Project? Welcome to 2018! The year has gotten off to a fantastic start, and we're thrilled you're along for the ride. We've been busy at The Nora Project, and can't wait to catch you up on all we've been up to. Before we dive in, we want to thank you for your support--without all of you, none of this would be possible. 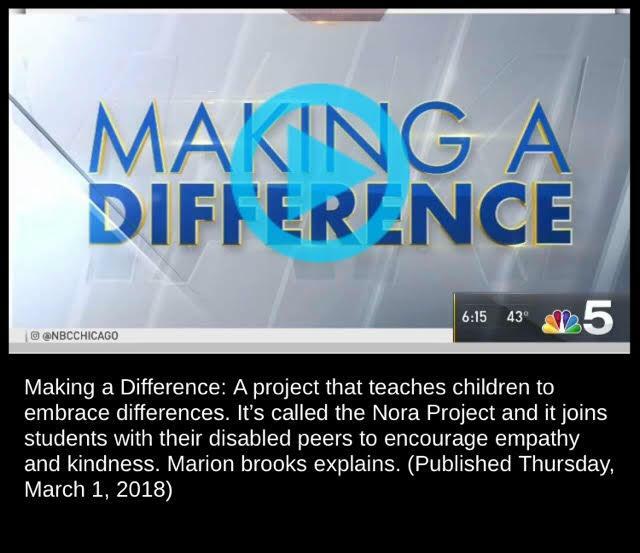 The Nora Project was featured for "Making a Difference" on NBC! 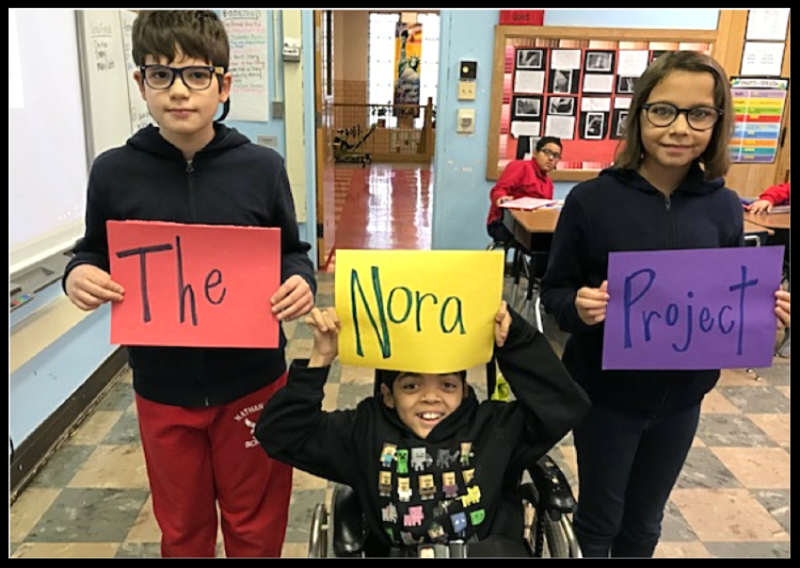 Click to watch participating students at Glen Grove School in Glenview, Illinois make their Nora Friends Tommy, Nathanial, and Sam smile. And that's not all! Check out our coverage on Good Housekeeping's online blog and on WCCO radio. Spread the word! Share your favorite piece with family and friends and encourage them to check out our website and follow us on social media. The Nora Project is excited to announce our first adventure into high school! Working together with Heather Conner, Chair of Warren Township High School's English Department, in Gurnee, Illinois, we've adjusted the contours of The Nora Project so that 11th graders can engage in a rigorous study of empathy through English and Language Arts, while befriending their peers with disabilities in the 2018-2019 school year. 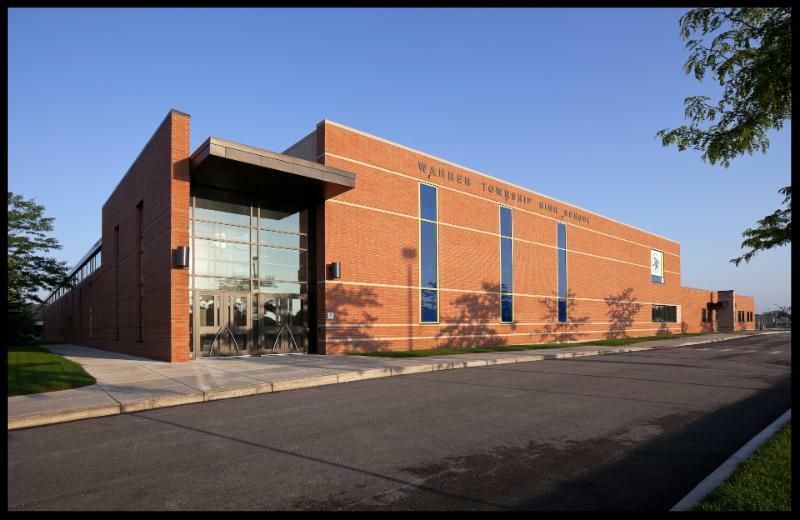 We're grateful for the opportunity and look forward to applying what we learn from the Warren Pilot to expand to more high schools in 2019-2020. Meet Jeremiah, our Nora Friend from Silver Springs, Maryland, who is making new friends this year through his participation in The Nora Project at Stonegate School. 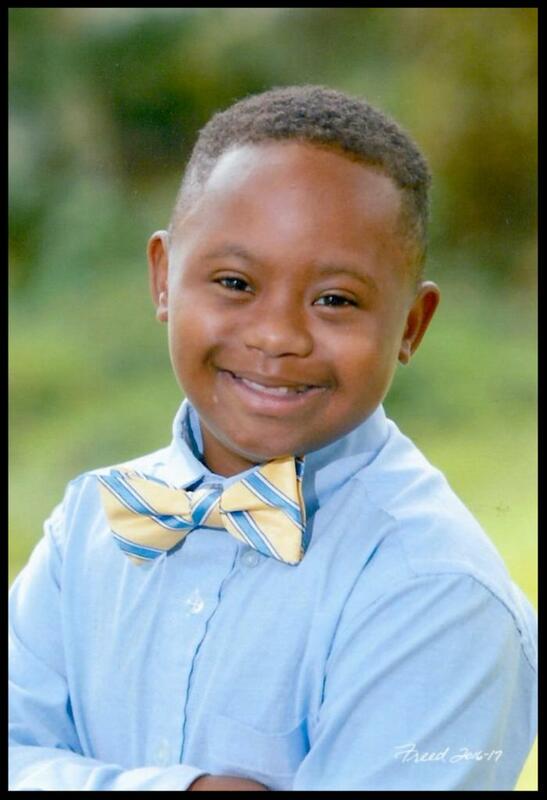 Jeremiah has the honor of being among the notable individuals featured in this year's World Down Syndrome Day celebration, held annually on 3.21. We couldn't be prouder and can't wait to celebrate alongside him! 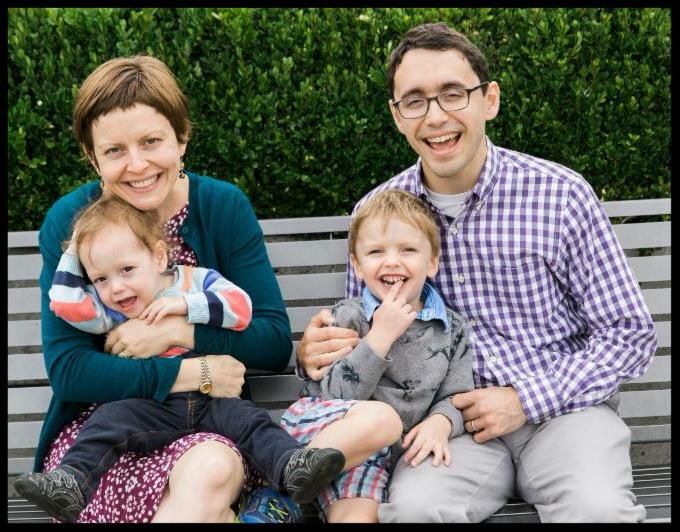 Please read Jeremiah's feature and the wonderful things his mother Opal has to say about The Nora Project. The Nora Project could not survive without the help of its amazing volunteers. This month, we recognize Maria Childs of Libertyville, Illinois. Maria is The Nora Project's social media volunteer, and works hours upon hours every week to find and share the best content about empathy and inclusion from within TNP's archives and across the web. Our #FriendshipFebruary Calendar? She made it. Yep, if you enjoy a post on Facebook or Instagram, chances are Maria's the one who found it and put it there for you. 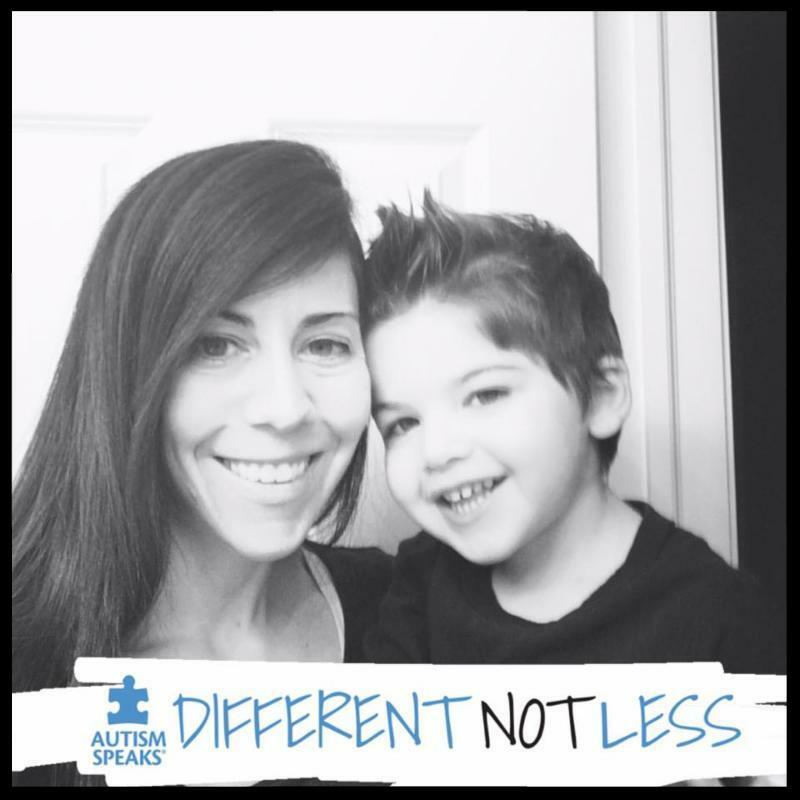 For more about Maria, why she volunteers, and what The Nora Project means to her, read her interview, here. Dan Stolz and Judy Greenberg were among the first supporters of The Nora Project. They were early donors, attended our film festival last year (even though they had to walk nearly an hour to get there! ), fundraised with enthusiasm during our year-end campaign, and actively engage The Nora Project on social media day-to-day. They even leveraged their college network to connect The Nora Project with some of the greatest thinkers on empathy education in the country. Why would a couple with children still too young to participate in the project do so much to support it? Read their beautiful article for answers. 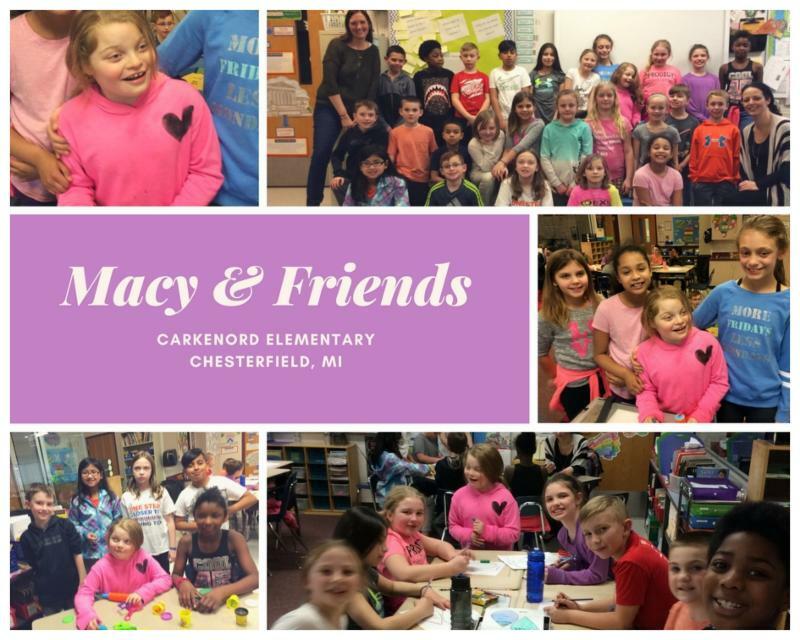 Last week, Nora Friend Macy visited her friends in Ms. DeLore's classroom at Carkenord Elementary School in Chesterfield, MI. If you weren't already smiling from all the TNP good news, this photo collage of Macy & Friends should do the trick!